Pernod Ricard Winemakers is launching Jacob’s Creek Two Lands - a new range of premium wines that marries Californian style winemaking with Australian varietal character. Launching exclusively in the US in March, with labels designed by Landor Chicago featuring illustrations by Taylor Mazier, Two Lands is the result of a winemaking collaboration between Jacob’s Creek chief winemaker Bernard Hickin and award-winning Napa winemaker Ehren Jordan. With his passion for true varietal expression and over 35 years of winemaking experience, Bernard worked with Ehren to ensure the new single varietal Two Lands wines championed the vibrant character and flavour of Australian fruit. Meanwhile Ehren’s boutique approach to winemaking delivered additional complexity and distinctiveness in the wines, together with a trademark silky texture reminiscent of Californian wines. Jordan says: “Journeying to South Australia to collaborate with Bernard on Two Lands has been a fascinating creative process which has allowed me to work with flavours not normally available to me in North America, and craft them into wines in the style that we so love to enjoy. Two Lands Cabernet Sauvignon 2013: A generous, rich and smooth Cabernet with notes of blackberry and plum, balanced perfectly with a hint of oak. Two Lands Chardonnay 2014: A soft, generous Chardonnay with ripe melon and white peach flavors, cut through with zesty citrus notes and finished with a touch of oak. 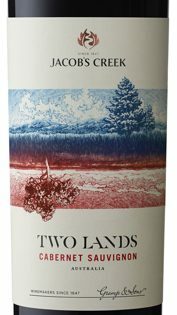 Two Lands Shiraz 2013: A full-bodied, flavorful Shiraz showing ripe red berry fruits, subtle oak and a prolonged finish. Two Lands Pinot Grigio 2014: A refreshingly crisp Pinot Grigio with ripe pear, quince and lemon citrus overtones and a delicate sweetness on the finish.